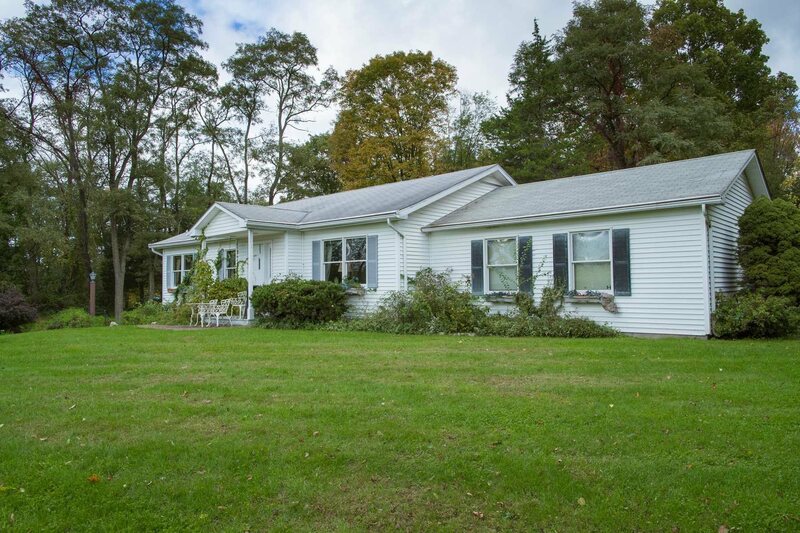 Charming ranch style home featuring a bright living room, kitchen with dining area, sun room with coffered ceilings, master bedroom with en suite bath, original wood moldings and doors, a spacious walk out family room, and attached two car garage. Situated on one acre with beautiful stone walls, privacy, in a lovely neighborhood. Great location, convenient to schools, shops, restaurants, and commute to I84 and TSP. Come take a look!